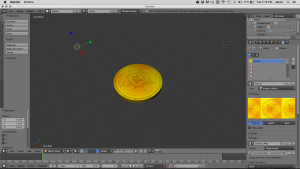 In this post I would like to show people how to wrap textures around objects in Blender. I feel like this is an interesting thing to talk about because it took me forever to learn how to do it. Then I celebrated by eating more chips. Blender is an incredibly powerful program that gets to be really exciting when you know what you’re doing, but up until that point you can feel really lost. It takes watching a lot of tutorials and working time to understand it more than anything. So here is a video that I posted on how to wrap a texture I had previously drawn to a cylinder mesh. 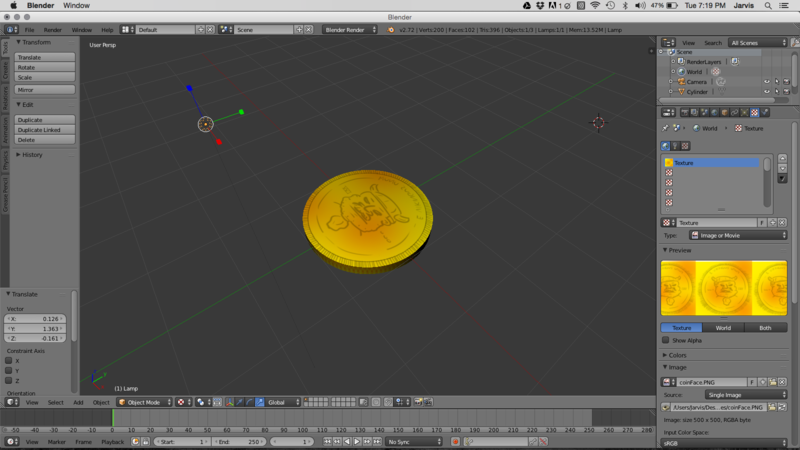 It’s a coin that I’m working on for our game Vikings that is still a work in progress. We’re opting to make a lot of the assets in Blender now instead of hand drawing all of them in Photoshop. Hopefully it’ll make things shine a little more than if they were drawn flatly in 2D. As you can see I’m still very fresh to texturing, and you might find that there’s a better way to do it but at least this one way works. You’ll find that you can make things smooth or bumpy, and once I get to that point I’ll share a video update of what I learned. Maybe I’ll learn how to wrap an object, 3D print it and send it to someone’s house as a gift. Just gave you a glimpse of the future. You’re welcome. Have any thoughts or better ways of wrapping textures?